The interweb tubes are pretty cool, granted; but sometimes I just gotta kick it old school. Hello, this is Senator Lautenberg’s office. Me: I’d like to speak to Franky-poo. One moment please, I’ll see if he’s awake. Frank: Huh…Huh…Hello? Where am I? Why are my legs wet? Me: Good afternoon Sparky, my name is Boca LeDouche and I had a few questions about your gun control legislative efforts for your razor sharp mind and keen intellect. Frank: Are your from the Brady Campaign? Me: Well, let’s just say I’ve been there longer than most of their past employees. Frank: Wow, it’s always an honor to speak to the survivors. Me: So I understand your position to be that ammunition magazines capable of holding more than 10 rounds should be banned, is that correct? Me: I totally agree, but where will the money come from to pay for confiscating and destroying all the tens of millions already in circulation? Frank: Wha?…No no no, even if my legislation passes, there won’t be any confiscations. Me: So you believe that people who already own them can keep them? Me: For the sole purpose of mass murder? Me: OK, now I’m confused………….What I’m hearing you say is that the criteria for owning an object specifically designed for one reason and one reason only, that being mass murder, is the date on which it is purchased? That sound about right, Senator? Frank: We have to do something. Me: I agree, but your legislative effort, regardless of whether or not it’s passed into law, is to encourage people to go buy as many “Hi-cap” mags as their budget will allow as soon as possible. Not to mention encourage the gun manufactures to jack up the prices and send a chunk of their profits to the NRA. Is that what you intended? Frank: My intention is to help save lives. Me: Do you believe sending magazine manufactures into overdrive and telling consumers to buy those products in bulk will accomplish that? Frank: We have to start somewhere. You’re not really with the Brady Campaign are you? Me: Like I said Senator, razor sharp mind and keen intellect. To everyone who whines about those who demand the correct terminology be used in debate, consider the following. Let's say the NRA starts a campaign to abolish the 1934 NFA, which covers full-auto machine guns. The NRA then films a live demo for media consumption showing someone firing a semi-auto rifle and claiming these are the types of guns covered by the 1934 NFA. Would you call them out on their lie? How would that be different than the antis pushing a ban on "assault weapons" while showing video of full-auto machine guns and claiming these are the types of guns their pending legislation will cover? I am sick and tired of correcting all the misinformation regarding this new flurry of gun control. The only tack I’ve really found to be effective is to ask the douche-nozzle I’m talking to whether or not they’ve actually read the legislation being proposed. Hands down, every one of them says no. We read everything because it has the potential to affect us greatly, they read nothing and instead rely on pure regurgitation because they FEEL it will affect their quality of life without risk of going to prison for the mere possession of owning an object. What Law Would Have Stopped This? Not the start of a joke but instead the precursor to one of the rare murders in this county. I'm going to guess the person wasn't a FOID holder (licensing/registration). I'll also bet the individual was a prohibited person. No 'Assault Weapon' was used. No 'High Capacity' Magazine was required. It was in a place that served alcohol so the so-called carry law the anti's are trying for bans that even assuming the scum followed all the other rules. 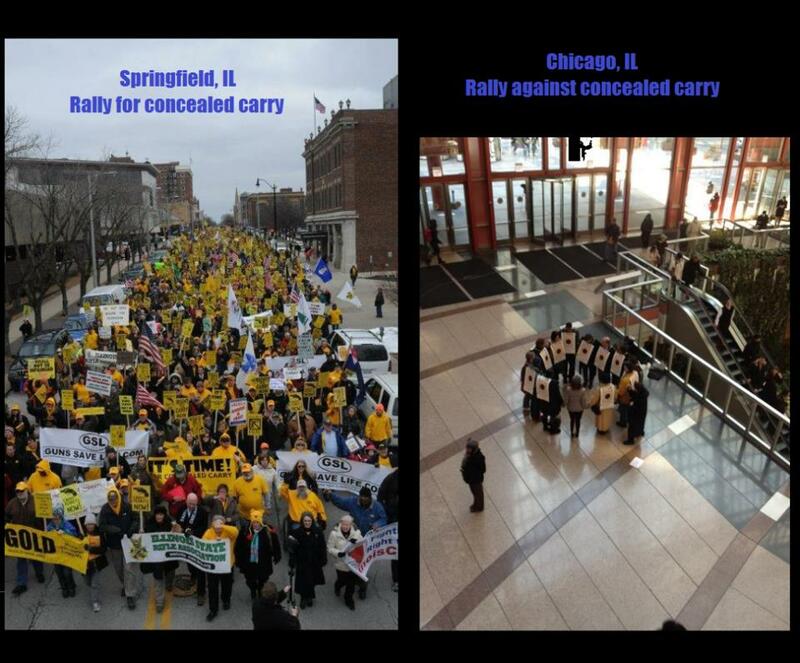 Seriously, what 'common-sense' anti-gun law would have stopped this since that's the claimed goal of the anti-gun groups? A criminal is a criminal, especially one willing to commit violence against society. The only way to deal w/ them is to deal w/ THEM, not the tools they use. Here's the rub. No 'Assault Weapon' was used in the shooting. It was a .38 revolver, similar or identical to the type she carried for years as a CCW holder, you know, before she was against CCW. Feinstein was referring to Milk’s death in 1978. Then president of the San Francisco Board of Supervisors, she came upon his dead body after fellow San Francisco pol Dan White killed him and Mayor George Moscone with a .38 special — the same model gun Feinstein herself owned. Just like most anti-gun activists, this hypocritical b!tch doesn't care about anything but banning guns and will use any excuse or death to do so. A dedicated anti-gunner 'Weapons4sale' who's written approximately twice in the last 6 months and banned me straight out. As detailed in the post here. Update on HB1155. Amendments #50 (no carry in any establishment that serves alcohol) and #52 (police approval for those w/ multiple 'arrests') passed. Others failed. HB1156: Miguel posts a letter from the MagPul lawyers stating that the CO mag ban bans effectively ALL magazines due to the 'readily convertible' language. Guess what language Amend. 12 has? Yep. It's not a bug, it's a feature. Tic toc tic toc to Constitutional Carry. I'm so glad we pay these people to be effective at their tasks. Instead of trying to fix the state's collapsing economy, they instead spend the day to try and poison concealed carry. On HB1155, (concealed carry) 7 more amendments were thrown against the wall. (47-53). Registration of all sales, firearm specific CCW license, only one carry firearm, restaurant ban, liability insurance, ban for people 'arrested' (note, NOT convicted) multiple times, and pushing back implementation till 2016. On HB 1156, (AWB) they try for a grandfathered mag ban w/ registration and undefined fees. Seriously, why do we pay these idiots and how do they keep getting elected? What Happens When You Poll Real Gun Owners? The results come out exactly like what us 'fringe insurrectionists' say. A poll was taken of 4,500 ISRA members. By margins of over 90%, they opposed semi-auto bans, ammo restrictions, magazine limitations/bans, licensing/registration, and liability insurance. 2/3rds opposed a ban on private sales. And how do ISRA members feel about anti-gunners? less than 20% of respondents feel that gun control organizations are acting in good faith. About 90% of respondents feel that politicians who promote gun control are only doing so for political reasons. The credibility of the press took a hit as 97% of respondents feel that media is biased against private firearm ownership. Amazing that when the ISRA and NRA conduct polls of their members, it comes out completely different than when anti-gun organizations like MAIG put put polls saying what 'gun owners think', isn't it? At the Will County, IL board meeting they overwhelmingly approved a motion supporting Concealed Carry for Illinois. The sole opponent was board member Reed Bible, a former DHS agent. In his opposition speech (beginning at 0:05:45) he calls it 'tainted w/ anti-gov't paranoia and racial overtones' and that people bringing up the issue is 'pandering to the interests of the weapons manufacturing industry and anti-governmental sentiments'. He then goes into a diatribe supporting the mythical 'collective rights' meme using a few quotes and throwing in the 'Bogus' theory of the 2nd Amendment, while ignoring the majority of litigative and legislative history. Pretty much the same crap that was put up in opposition to Heller, McDonald and Madigan. His 'motion' was shot down but he continued to try and play stupid games. Note who he's sitting next to. Don Moran, President of the Illinois State Rifle Assoc.who at around 0:20:00 proceeds to educate Bible on full litigative history and the history of the 2A. So yeah, this leader in the Illinois Democratic party believes that Concealed Carry is 'racist' and 'anti-gov't'. Typical of an anti-gun statist. UPDATE: More from this statist twit in a letter to the editor . Incoherent rambling and BS Joyce Foundation statistics galore topped off with a hefty helping of 'I was a Gov't agent, I know more than you." And there just happens to be a commenter named 'RB' who sycophantically supports 'Reed Bible' and is also a unwavering anti-gun, NRA hating statist. No connection, I'm sure.